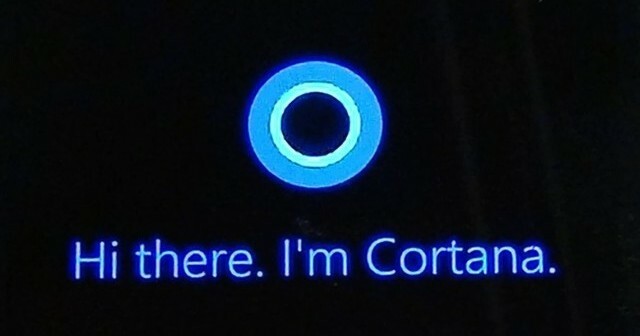 Microsoft is no longer using Google as its default search engine for its Windows 10 digital assistant Cortana. To get around this problem Microsoft will now only allow Cortana to launch the new Edge browser when a user performs a search using its digital assistant. Users will still be able to download other web browsers. However, with Microsoft due to add new features to Cortana and in order for users to get the most out of the features they will need to be routed through the Edge web browser and use Bing to perform Internet searches, Microsoft has said. “The continuity of these types of task completion scenarios is disrupted if Cortana can’t depend on Bing as the search provider and Microsoft Edge as the browser”, he added. Mr Gavin used the example of someone trying to search online for Rihanna tickets. Microsoft was quick to point out that this move only relates to Cortana and the answers and assistance provided by Cortana will only come from Microsoft Edge and Bing. You can however continue to use Google Search and Google Chrome on your Windows 10 machine, along with other third party apps to navigate around the internet. The move to drop Google from Cortana search in favour of Bing has been criticised by some users, the vast majority of whom prefer to use Google Search and Chrome when browsing the Internet. Earlier this week, stats released by NetMarketShare found that Google Chrome is now the most used web browser in the world on both desktop and mobile.